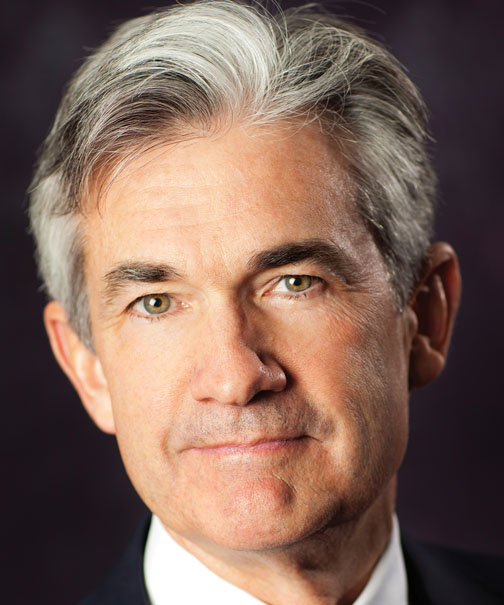 Prior to his appointment to the Board of Governors of the Federal Reserve Bank, Jerome H. Powell was a visiting scholar at the Bipartisan Policy Center in Washington, D.C., where he focused on federal and state fiscal issues. From 1997 through 2005, he was a partner at the Carlyle Group. Powell served as an assistant secretary and as undersecretary of the Treasury under President George H. W. Bush, with responsibility for policy on financial institutions, the Treasury debt market, and related areas. Nicholas F. Brady, a former Dillon, Read & Co. colleague, was the then sitting Secretary of the Treasury. Prior to joining the Bush administration, he worked as a lawyer and investment banker in New York City. In 1985, Powell was an Associate at Dillion Read and at the time of his Senate confirmation in September of 1990 he was a Senior Vice President of the firm. In addition to service on corporate boards, Powell has served on the boards of charitable and educational institutions, including the Bendheim Center for Finance at Princeton University and The Nature Conservancy of Washington, D.C., and Maryland.